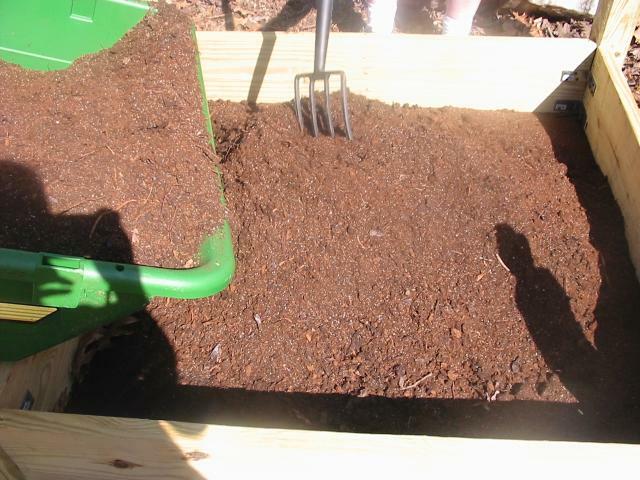 Last Saturday we put together “The Dirt” for my Square Foot Garden. See my first post HERE. My hubby created the box a couple weekends ago. He decided to use pre-treated wood for this project. There is some controversy of using it because of the chemicals that are used such as extra copper so its up to you if you want to use it. It will last for many years which is a big benefit. See more information HERE from Home Depot which is where we purchased it. Strongly suggest stopping at Walmart and picking some up. I saw them discounted down to $6! I might pick up 2 for next year just to have the peat moss starters. Not a bad price. 4- Finials on clearance 4@1.00 = $4.00 (Will probably add some deer fencing to keep them out and my hubby thought that having the corners tall we can attach the fencing easier.) These were a great price and they look nice. I know this is my first garden and we’ve spent quite a bit already. Not sure if this will go in the garden or the front house landscape. Thank you so much for the suggestion! I wasn’t planning on putting the mint in the sfg just because I knew it MIGHT take over but I want it near by to hopefully deter deer. Same goes for the lavender. I’m thinking now that you said what you said to put it in the backyard. I need to write another post about deterring deer. Now, I’m thinking about mint iced tea, and Mojito’s. You can definitely come over and have some! this is a great post, and i love the pics! square foot gardening is so neat! my favorite gardening forum site, GardenWeb has a really helpful bunch of people on their square foot gardening forum. check it out, if you want to get any tips, or just chat with others and see other cool pictures of their beds and plant progress! 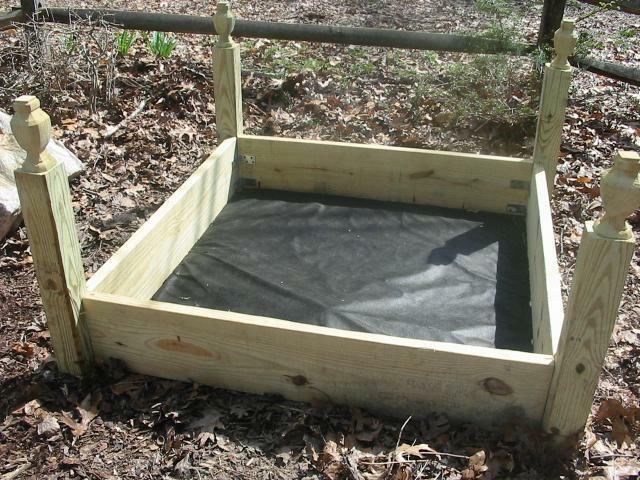 also, a few years ago, i built a raised bed, and I built it with pressure treated wood. i read that one way that you can mitigate some of what makes people fearful of pressure treated wood (the chemicals) is to rub the wood down with linseed oil. linseed oil is cheap and natural. apparently, it “locks in” everything. as an added benefit, it further protects the wood from water and rot. it worked great for me! Thanks. I need to take a couple more pictures because my beans, squash, zucchini and onions are growing! I’m amazed at how fast the beans have grown. Inside since March 15, I’ve been growing cucumbers, tomatoes, peppers, cilantro, basil, oregano and lettuce. Can’t wait to put them outside. I’m sure to have some spare plants because my SFG is getting full! Let me know if you need some.